Selby did not perform well yesterday, making some errors in safety and scoring, Ding leads 5-3. They have a re-rack in the first frame of the session. Ding grabbed a chance to pot a beautiful long red. Mark Selby paid a cost for missing the double. Ding Junhui extends to lead 6-3 with 121. Mark Selby pulls one back and trails two frames behind Ding. 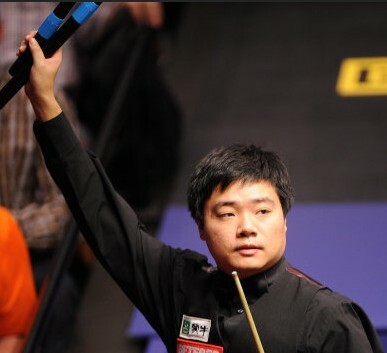 Ding Junhui leads 7-4 with a break of 87. Selby is lost during the match, keeps making mistakes. Selby pulls one back and Ding keeps 7-5 ahead before mid session. Mark Selby is disappointed to lose the 13th frame but feels lucky to win the 14th. Ding still leads 8-6. Ding takes his tenth frame by one visit, 76 to go 9-6. 16th frame is another long frame, Ding eventually takes it. Ding Junhui ends the four-hour second session with 10-6 lead. 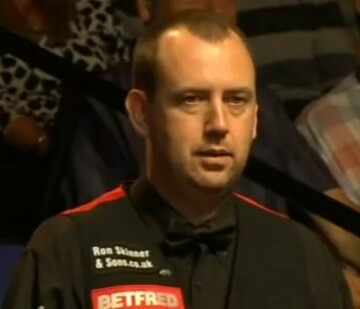 Mark Williams leads Allen 11-5 before last session kicks off. Allen does not catch the chance to pull one back. It turns out to be a frame for Williams, he extends his lead to 12-5 with 61. Williams is only one frame from victory. Several mistakes from both players in the 18th frame but Williams clears up to win! Mark Williams sets a early finish for the match, he beats Mark Allen 13-5. He is now a semi-finalist for the first time in 8 years! Congrats! What a month for Juddy! Here comes the last session of their match. Dott won back some frames but Trump still leads 11-5. Trump wins the opening frame of the last session, 12-5. 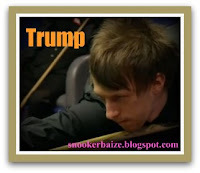 Judd Trump wins the match 13-5, a convicing win for Trump. He is now a semi-finalist of WC! Congrats! The two snooker biggest stars stuck at 4-4 before second session starts. Ronnie leads for the first time in the match after winning the first frame of the session. 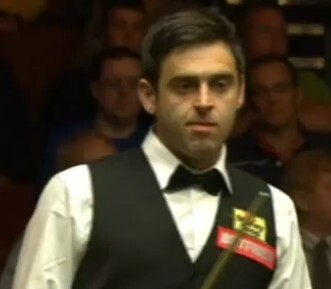 Ronnie takes the following frame with 82, he is looking very sharp :-) Ronnie takes five in a row to lead 7-4. John Higgins pulls one back before mid session. Ronnie takes the first frame after mid session, 8-5. Higgins steals the 15th frame from Ronnie, he is only one frame behind Ronnie. Ronnie has a very good chance to lead four frames but at the end he levels the match. The match stops at 8-8. Can he move one step further? It must be a mistake for Ronnie fail to extends his lead before second session. Start from tomorrow, there is only one table in the Crucible and no morning sessopn :-) See you!